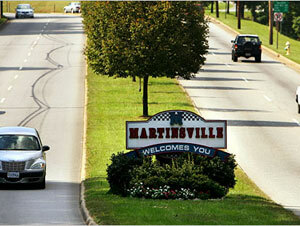 Martinsville is centrally located on the Southern border of Virginia, in the foothills of the Blue Ridge Mountains. With its beautiful location and rich history Martinsville becomes a great place to be. 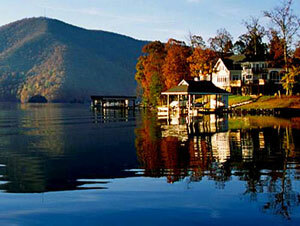 Home to some of the finest recreational and cultural options in the country. 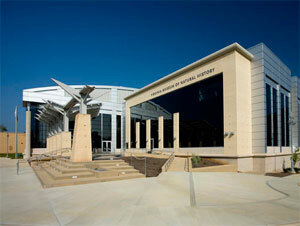 The area is proud of its excellent medical facilities, innovative school systems and incredible housing opportunities. As an independent city surrounded by and the county seat of Henry County, Virginia, United States. Martinsville population was 15,416 at the 2000 census. The Bureau of Economic Analysis combines the city of Martinsville with Henry County for statistical purposes. The paper clip-shaped Martinsville Speedway, the shortest track in NASCAR stock car racing [0.526 miles (0.847 km)] and also one of the first paved "speedways", being built in 1947, is located just outside the city in the town of Ridgeway. As the principal city of the Martinsville Micropolitan Statistical Area, a micropolitan area that covers Henry County and the city of Martinsville. The micropolitan area had a combined population of 73,346 as of the 2000 census. Great retail building with a lot of potential to bring out the charm and character of the building. Building can be reconfigured to fit your needs. The building is currently configured with 2 floors of warehouse space. Bottom floor has ten foot ceilings with a bay door. The top floor has fifteen foot ceilings with a bay door. There is also an office on the main floor. Great Location located just below Martinsville Memorial Hospital. This property can be custom built on the inside to suit your needs. We just recently installed a new roof, new exterior doors and new windows. Custom floor plans available. Located behind the historic Henry County Courthouse in downtown Martinsville Virginia. This location offers a large store front with offices and storage space. Landlord can reconfigure this location to suit your needs. Three Unit Retail Strip Center located on Commonwealth Boulevard.